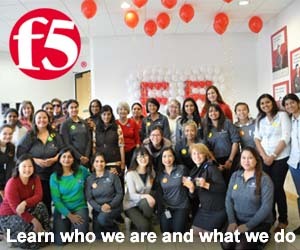 Teachers, parents, caregivers - use International Women's Day as an important opportunity to educate and inspire children about the role of women in society. From celebrating women's achievements through to challenging gender stereotypes and bias, there are many useful classroom resources available to support International Women's Day activity.​ ​Educate the minds of today and the citizens of tomorrow. Classroom education about gender equality is the most grassroots difference any one can make. Your role and responsibility are phenomenal. 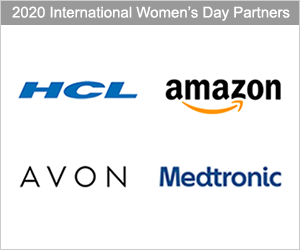 Thank you for championing International Women's Day to make a positive difference. And teachers, in addition to the brilliant downloadable resources below, remember to select some of the inspiring and informative International Women's Day videos as classroom discussion starters to reinforce important gender concepts or to provide entertaining ways to celebrate the day. Access these important and informative resources to broaden children's minds, challenge stereotypes and bias, and to build self-confidence - everything you need to make International Women's Day a huge success in the classroom or at home. 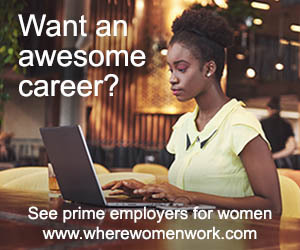 Penguin Random House wants to give young readers access to new feminist icons and ideas: female authors and artists to be inspired by, women-centered stories to learn from, fantastic heroines to befriend. The IWD classroom resources explore story lines, analyse characters, challenge stereotypes, examine language use and establish a lifelong love of reading. The IWD reading list featured books about women who changed the world - women who stood up, spoke out, struggled through and soared. Teach Starter encourages young people to actively engage in conversations and experiences that equip them to question stereotypes and bias, promote gender balance and celebrate women's achievements. 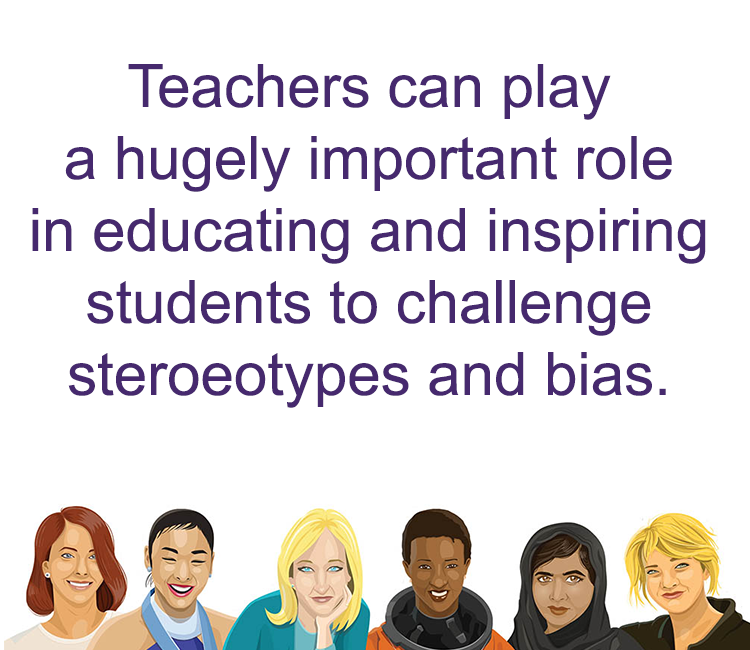 The IWD resources support teachers in championing and celebrating gender equality via a complete set of learning experiences or used as special stand-alone lessons or incorporated into related key learning areas. 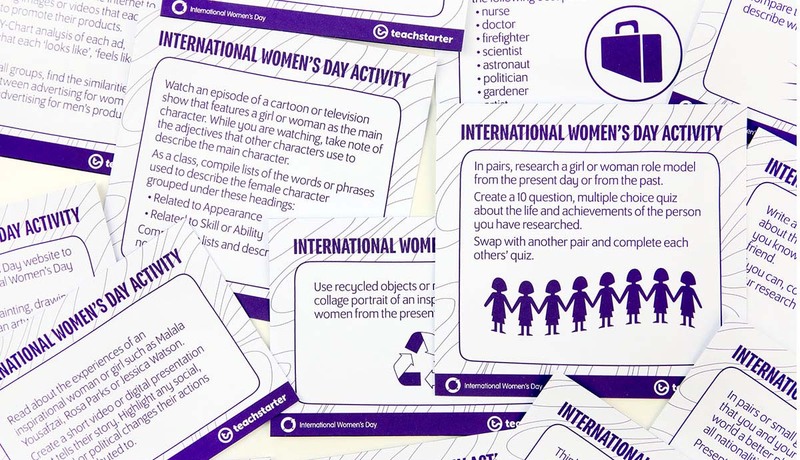 The exciting and engaging IWD assets will make any classroom buzz. DreamWorks Animation believes great stories inspire great possibilities. DreamWorks rewrites the rules to imagine something different. She-Ra and the Princesses of Power is a show full of strong female characters supporting each other. It's about the power, fierceness and realness of women - and how different young women step up into leadership roles, learn about themselves, and make a positive difference in each other's lives and their world. 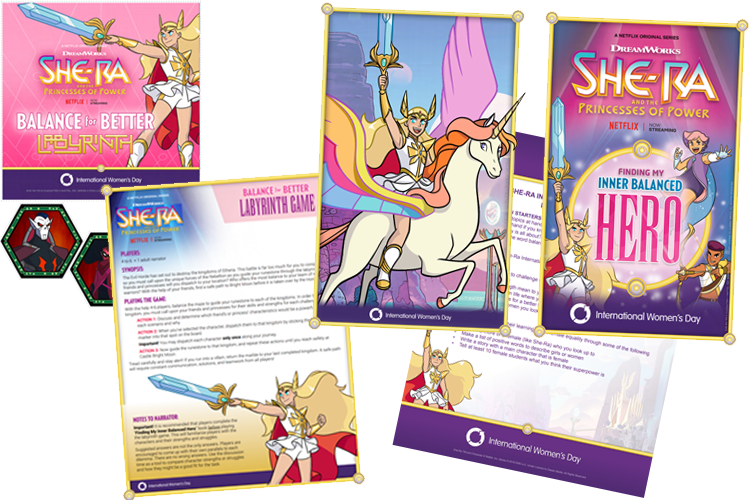 The She-Ra IWD resources inspire children worldwide. 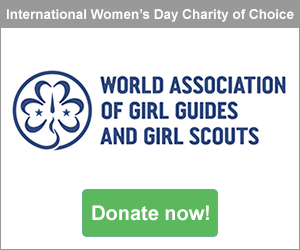 Use some of the inspiring and thought-provoking International Women's Day videos available from around the world as great classroom discussion starters or teaching resources. Watch the viral video challenging gendered language. Wouldn't the world be a better place if we all thought more about the words we choose to use? This can be a thought-provoking video to show teenage students.